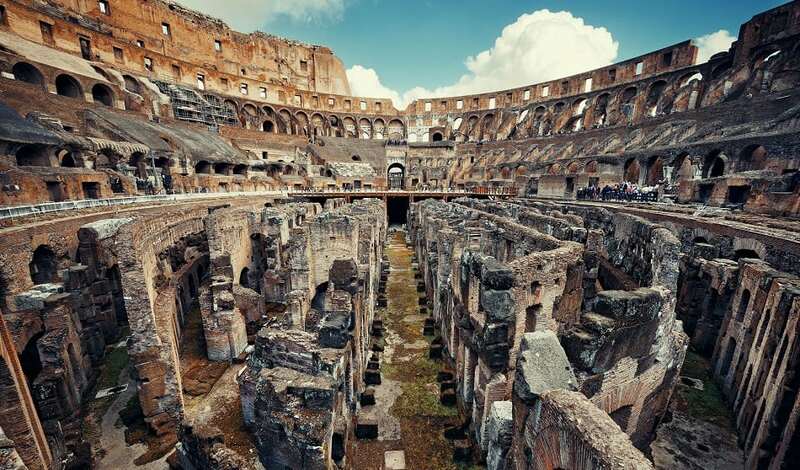 It may be two thousand years old but the Colosseum is still the symbol of the Roman Empire. The construction of the largest amphitheater of the Roman Empire was started by Vespasian in 72 AD. This building offered free entertainment to the residents. It was used for gladiator fights and hunting simulations involving ferocious and exotic animals. The capacity is estimated around 70.000 people.